Traditional psychotherapy has become a thing of the past, and the new thought leaders of the twenty-first century have expanded their toolkits. Some are equipped with intuitive gifts that encourage, uplift and inspire through their life-coaching. After decades of traditional therapy, attending dozens human potential growth seminars from Oprah to Chopra, Lifespring to Landmark, Eckard Tolle to Byron Katie, and the latest inspirational speakers like Tony Robbins to Les Brown, and hundreds of new age/self-help books later……. The truth and answers are inside ourselves. However, we may have blocks to those answers and it may take years to unleash our personal power. Yet with the right keys, it can take an instant! The ultimate truth may be right in front of us, but oftentimes we seek gurus, mentors and experts, therapists, spiritual teachers to show us the way. If you overdose on seeking answers outside yourself, you may lose hope and feel as if you will never find your way out. There are several famous career and life coaches who are known for helping people become successful, including Jay Abraham, Martha Beck, and Lucinda Bassett. Some are notable world leaders who are reputable, prominent and well known. Yet once in a great while there is a truly gifted being that emerges from the mass of trainers, coaches and spiritual leaders that seems to ‘get you’ in a deep and profound way. This person has to have more than just good ideas and techniques. This person may have a deeper understanding of your patterns and help you wake up to your own guidance. One such person who has been through his own dark night of the soul, who has touched the most painful and harrowing experiences only to emerge like the phoenix from the ashes is,William Constantine. After surviving a childhood of abuse that is unspeakable, he was made aware of his own unique psychic gifts at a very young age. As he grew to understand these gifts, they became his saving grace. He was able transcend adversity and rise above to become someone who is committed to helping others find their own alignment. Constantine’s mission is to help others experience a paradigm shift in their lives and his goal is to guide them out of their own darkness and learn how to “live their best life now”. In his early years he developed his psychic and intuitive gifts, which enables him to extend beyond the average ‘life coach’. He has moved beyond just doing readings from ‘the other side’ because he realized that he could help his clients go beyond their walls and barriers and work from the inside-out to create a better inner view. HIs abilities are extraordinary as he helps his clients experience a paradigm shift and a higher level self-image so that they can achieve their dreams. What makes him stand apart from the rest is that he has been through and overcome an intense past, so he understands on a deep level the traumas of others. He has had firsthand experiences in how to overcome extreme hardships and obstacles that most will never encounter. Life experience is the greatest teacher, and each one of us can become a champion. He delves into his client’s past and provides the foundation to breakthrough, helping them to reframe and transcend, thus envisioning a more positive outcome. Unlike traditional therapy, he interacts directly with the client, helping them hone in on specific details. One of his keys is ‘to move out of the drama, move beyond the venting’ (as in traditional therapy) so he is able to help them envision their life from the other side. Many of his clients are celebrities. They don’t often feel they have authentic friendships because many people want something from them. They are seeking true caring and sincere connections. In addition, they have many opportunities and offers and need a trustworthy advisor who has their best interest in mind to help them to understand what their true self is seeking, from a soul level. 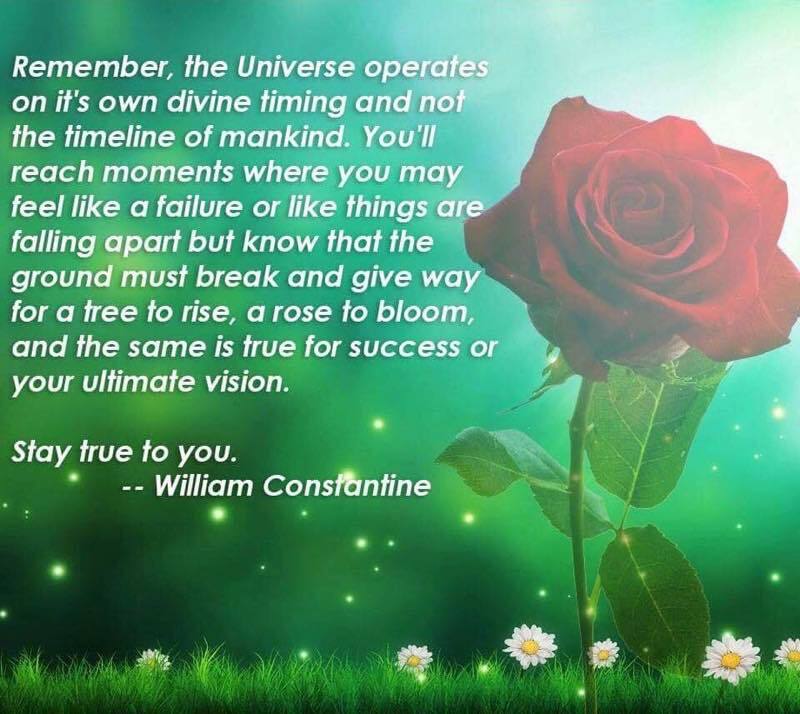 For over 10 years, William Constantine has been helping people create a renewed faith in themselves and their potential — helping us to understand that it is conditioned beliefs, impressed upon us, not of our own creation, that are causing us to think, act, and be the person that we are in this moment. Constantine offers a way out and a process through which people can change their conditioned belief system. An empowering New Thought leader, Constantine helps people to transform their lives and realize that everything we could ever want – we already have! We just have to get out of our own way, elease fear, doubt and anxiety. We are our own personal guru but sometimes we need help to cut the chords of our previous conditioning. The final key is that when we are able to break free of those thoughts and beliefs that no longer serve us, we can surrender to the Infinite Intelligence within us.